On this site I have mostly focused on sake ingredients. This has left open a big whole for many who might like to make sake, and can now easily get the ingredients, but have no clean way to find what they need in terms of equipment and where to get it. I believe that the best solution would be for me to carry the equipment as well but I have not met with success in this area. While I will continue to work towards this outcome it is passed time for me to help you understand what you can do and where you can go for equipment. To this end, I list below all the equipment needed and where it can be purchased. To keep this post as strait forward and clear as possible I will only give one example for each of the pieces of equipment. This does not mean the example I have is the best, cheapest, or anything else. They are simply examples. You could simply purchase every item needed from the links below and you would do just fine. On the other extreme, you could use the information below as a starting point for your search in which item you will ultimately purchase. Next up is pressing, siphoning and transferring paraphernalia. Saka bukuro (bags to capture the kasu (lees)) are very helpful and just about the easiest way to strain a high percentage of the lees out of the sake. These can be used with or without a press. I, myself, don’t use a press to this day but many of those I highly respect do. 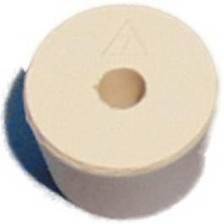 One example press type is a cheese press. After straining and pressing you need vessels to put the sake that results. One gallon glass jugs work nicely for this. You might also want to have a funnel but these are common enough that I will not include prices and examples. 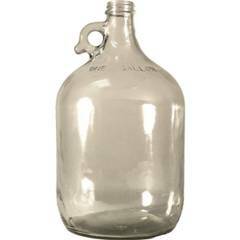 As we are using these jugs for the secondary fermentor, we will put an air lock on it. And every air lock needs a stopper. 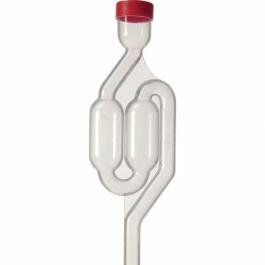 For those who have not seen one of these before, the air lock above is slid tightly into the center hole of the stopper below and the two together are fit tightly into the mouth of the jug. With water in the air lock the only gas that goes in or out will need to go under water first. The bit of ferment that is still continuing will be generating CO2 and so as the pressure of the CO2 rises in the jug it will force its way out by going through the water. After the sake has conditioned in the secondary jug for a while more of the lees will settle to the bottom of the jug. 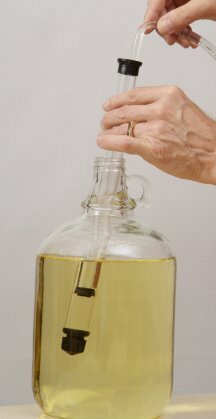 By racking or transferring the sake from one set of jugs to a second set we can take just the clearest sake off the top by siphoning. One of the easiest ways to do this is with the use of an auto siphon. You can’t use a racking cane without some tubing(hose) to carry the siphoned sake to the target vessel. Need to have a set of vessels for the final sake to go into. These can be the jugs themselves but in most cases you will use other bottles. 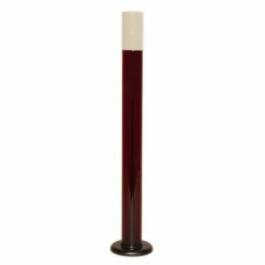 The main requirement is that you can seal them: screw cap, cork or crimped cap will all work fine. 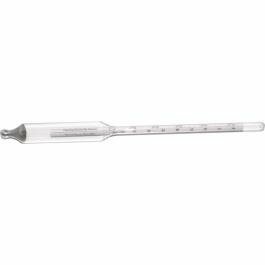 Additionally a hydrometer and glass is very nice to have to measure the specific gravity of the sake. Together they can be quite reasonably priced. Finally it is good to have a good sanitizer. Well, I think that about covers it. Adding all of this, except the cheese press, gives $122.05. Now, some of the sights given will have more than the item in question and combining items from a single supplier will result in much lower shipping costs. So if cost is a concern you will be able to do better by consolidating your purchases. Temperature control is very important for brewing sake. Given this a reasonable temperature controller is needed for consistant brews. The two most popular are the Ranco ($99) and the Johnson ($79) controllers. 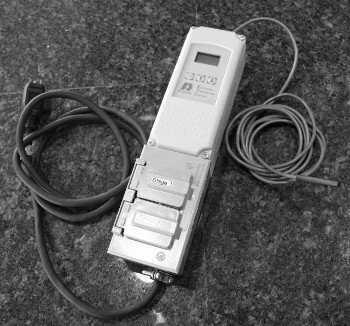 The way these work is they monitor the temperature and turn on and off the power provided to a 120V plug. You plug the device you want to control into the controller and set the temperature you want to maintain. Then when the controller detects the temperature is out of range it will turn on the power for the device to bring it back into range. All of this just works in one direction, that is, either heating or cooling. A more expensive version will control both a heating and cooling device at the same time. 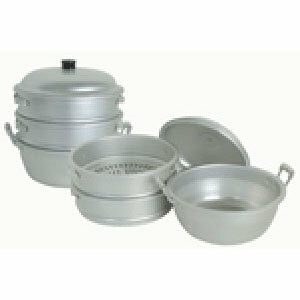 Cooler / incubator for making koji. A good cooler works well as an incubator for making koji. Add a way to keep it at the desired temperature and the process gets easier. This on is $110. 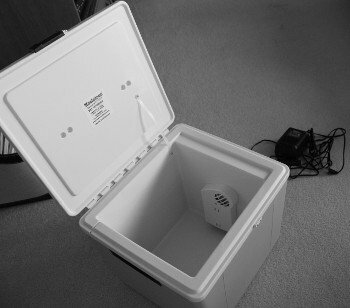 A standard cooler can also be used with a small heater like a heating pad or the like. How big is the batch you’re assuming here? Six gallon jugs seems like a lot. Is that how much liquid you are ending with? Or is it so 3 are full and 3 are empty for the siphoning/filtering stage? Most of the space is used for foam. Only results in about 2 gallons. Oh and I should not forget about the lees (rice and koji solids). So my only question right now is about the size of the fermentor. 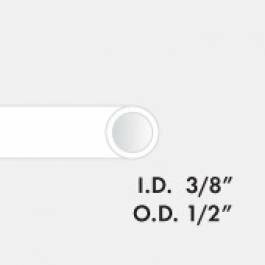 The cooler/heater for the fermentor says that its about 15″ tall and the bucket says it’s about 17″ tall. Wouldn’t you need to close the cooler/heater? is there another one that you can recommend? OK, I think there might be a misunderstanding. The cooler/heater is used for making koji; not for cooling the ferment. I use a small freezer (6-7 cubic feet) with the temperature control attached to it for that. These are not expensive, should be less than USD 150 but they take up a fair amount of room and are not easy to get rid of it you are no longer interested in them. you are right again…yes I see now your main page need a new “make up” to be more active and so more interesting for the people. I was becoming crazy because I did not know what and how many things or equipment I will have to find. I go through the link “equipment” many times but the only that I saw were different post then I realized that in one of the post were almost all the information I need it. I think this information about the equipment or few but important things the people need, have to be find it or see it before the ingredients in the main page because the people that buy ingredients allready knows were to go but the new is looking to see if it is difficult or expensive or not have idea. 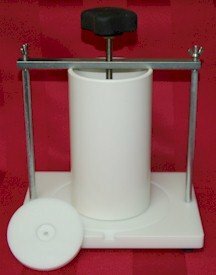 WHERE CAN I PURCHASE AN ACCURATE -AND INEXPENSIVE -SCALE FOR MEASURING 5.0 GRAMS OR LESS OF INGREDIENTS? I use a polder digital food scale that works in either grams or ounces. I paid $14 at my local grocer. If you need accuracy of less than 1 gram this scale will not cut it. I don’t know them and so I am not recommending them but just to give you an idea of what is out there.